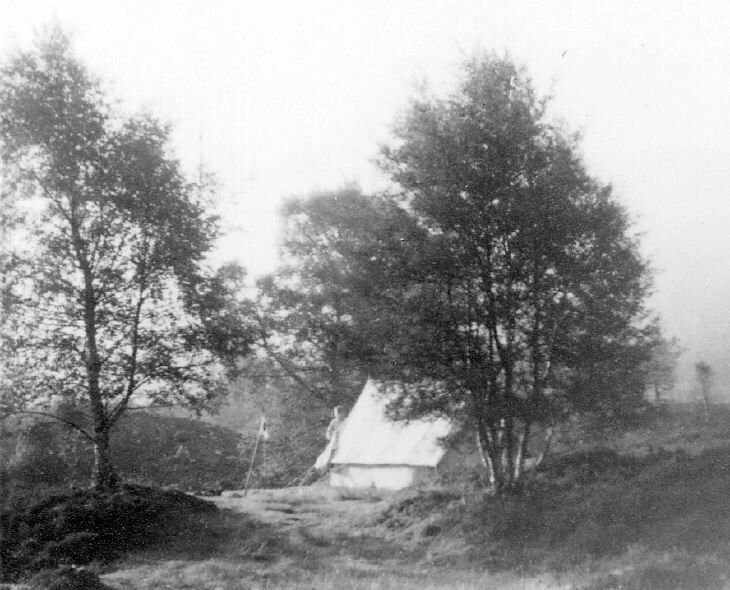 Monochrome photograph in a series of 19 of scout activities showing a ridge tent in a misty setting witha scout at the tent entrance and a staff with probably a patrol pennant to the left. One of a series of photographs contained in an old Kodak envelope marked "Troop Leader H Leslie. One set of last camp for Troop Log. Remainder to be distributed democratically!! Sorry that there aren't more. Cheerio Baloo".